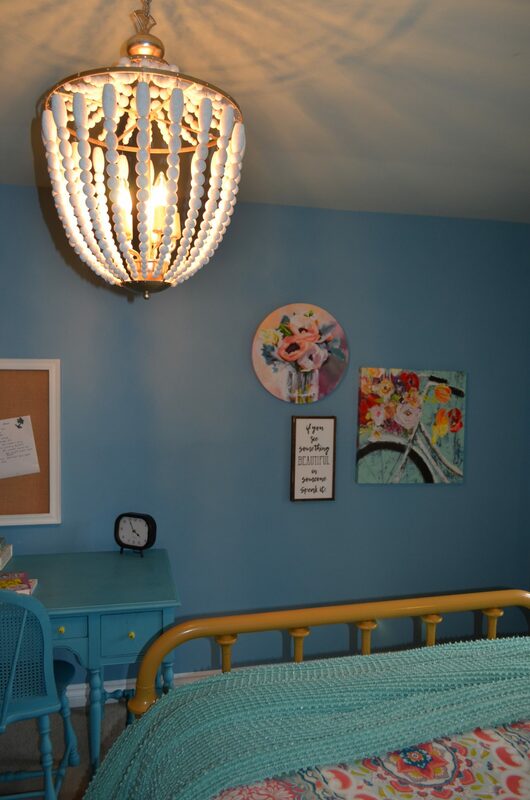 Several months back I gave you a behind-the-scenes glimpse on how we began the transformation of a pre-teen’s bedroom from girly-princess to boho-chic. 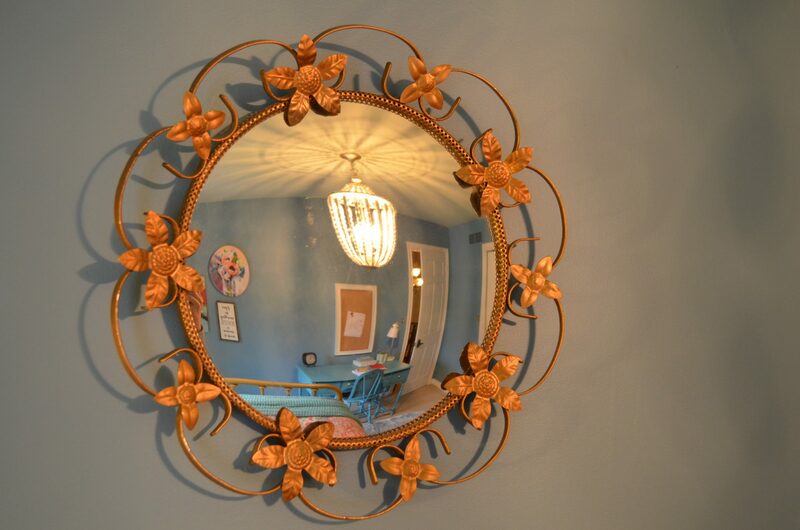 Out went the crystal chandelier and candy pink walls and in came a completely new color scheme and lots of amazing finds from the antique hub on Ottawa Street in Hamilton. I have to say, shopping for this room was so much fun…not only because my clients are really great and wonderful to work with, but because that boho-vibe is so easy going that it really wasn’t difficult to find the right pieces and pull the room together—just one of the advantages of hiring a designer (we’re good at that sort of thing)! In my previous post, I showed you lots of items that we had already purchased as we had begun putting the room together. 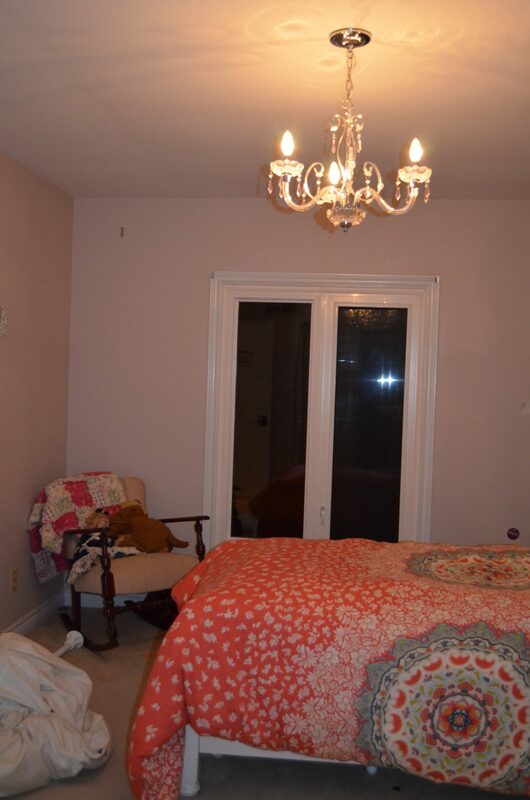 But here is the room before any of that–all in its pink glory—and as you can see, almost everything needed a refresh! 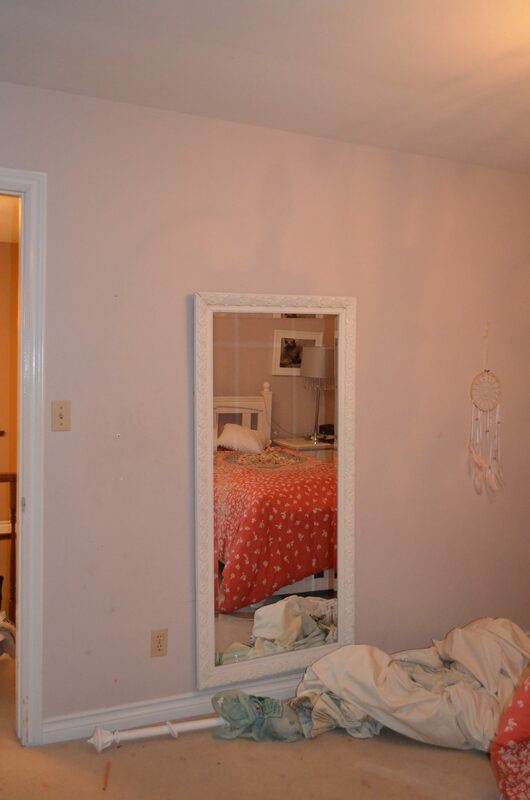 The bed was missing pieces, the light fixture was broken, the curtains had literally fallen out of the wall…this room was just plain ready for an overhaul. 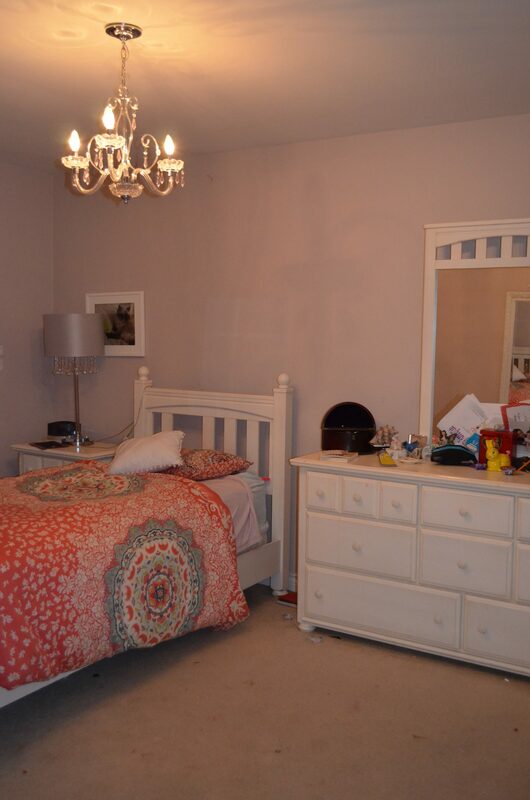 As the bedding had already been purchased, we chose the paint colors right away. 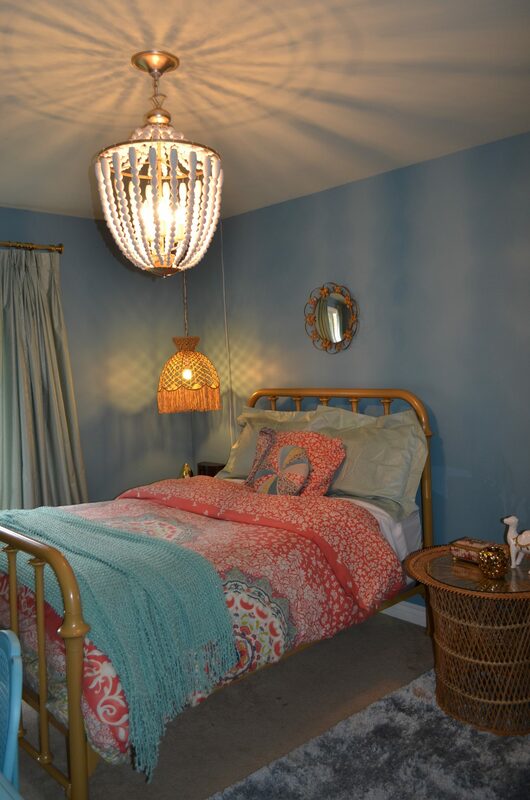 Whipple Blue HC-152 was chosen for the walls to create a lovely contrast with the coral tones of the bedding. 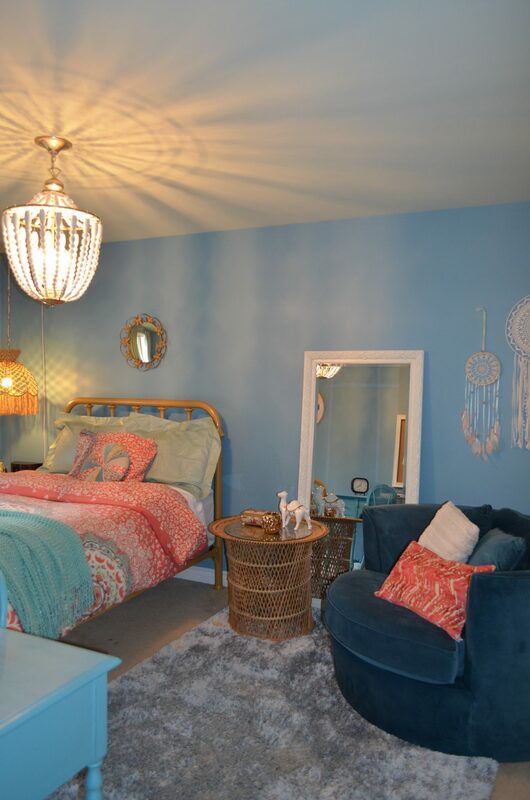 They wanted a wall color that would stand out and give the room a completely different feel than it’d had before, and the mid-tone blue created a much more inviting mood. 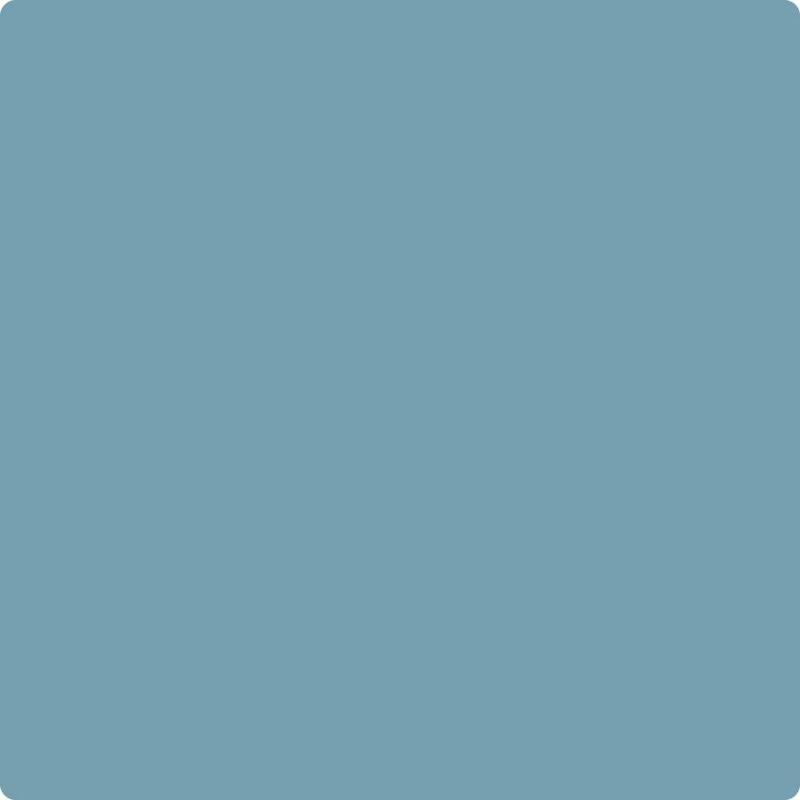 As there was a good dose of aqua in the bedding as well, we painted the ceiling in Blue Grass CC-640 and then had the custom drapery made to pick up on that hue. A simple dot pattern was selected from European Textiles that coordinated with the bedding and didn’t make it look washed out with the wall paint; the same fabric was used for shams on the double bed. We also picked up the aqua in the deeper tone of the desk we had chalk painted from Melanie at The Painted Bench. She did such an amazing job! 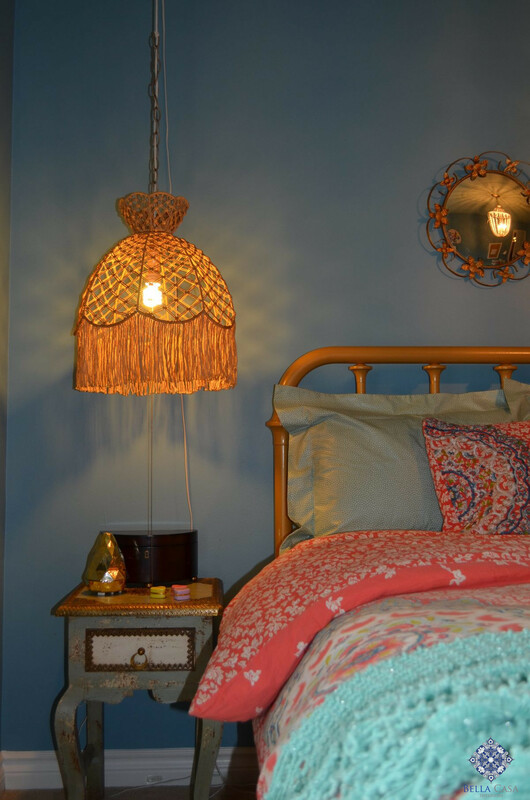 To create that relaxed, boho feel, I added in a few vintage wicker pieces–there is the side table and the hanging bedside pendant–both found for less than $50 each! (I love a good deal!) The lamp needed to be re-wired, but that was a simple thing to do thanks to Home Lighting. As the other side table was rather tiny, hanging the light fixture just made more sense and added a unique, whimsical touch. 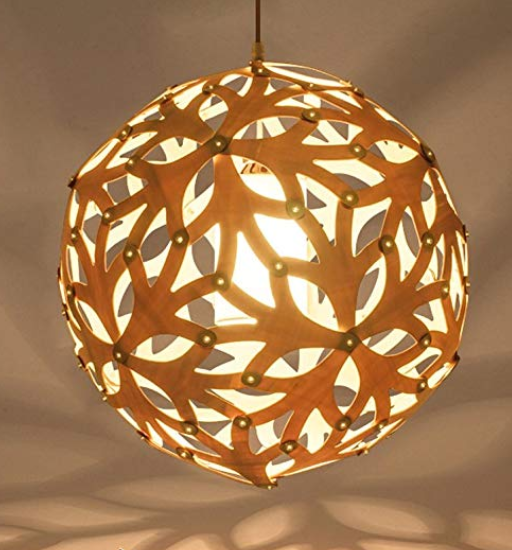 But… the thing that I REALLY love in this space–in my mind the “piece de resistance”–is the wood beaded light fixture. We almost went with a really cool bamboo pendant, but then at the last minute, changed our minds. 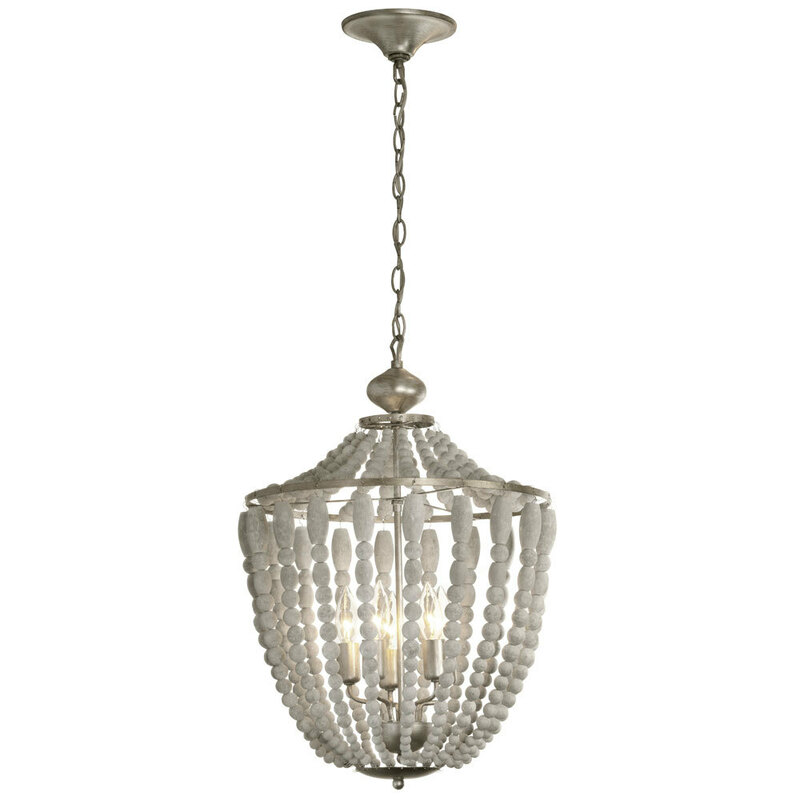 It wasn’t easy finding a wood bead fixture that was less than $500…but after much searching this beauty surfaced–isn’t it just amazing? It added just the right amount of boho-chic to the room and the white beads contrasted ever so nicely with the blue walls…perfection! 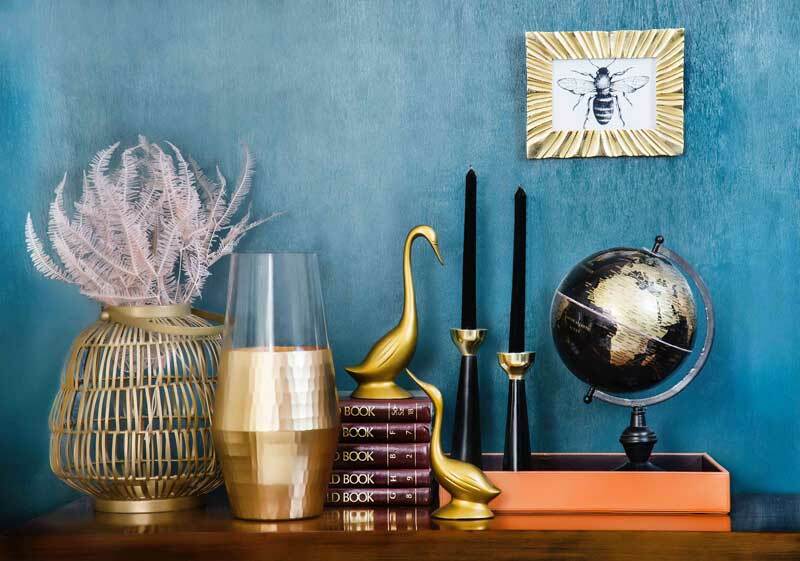 After having purchased all the larger pieces–the brass bed, cozy chair and the pieces mentioned above, there were the final accessories needed to complete the room. 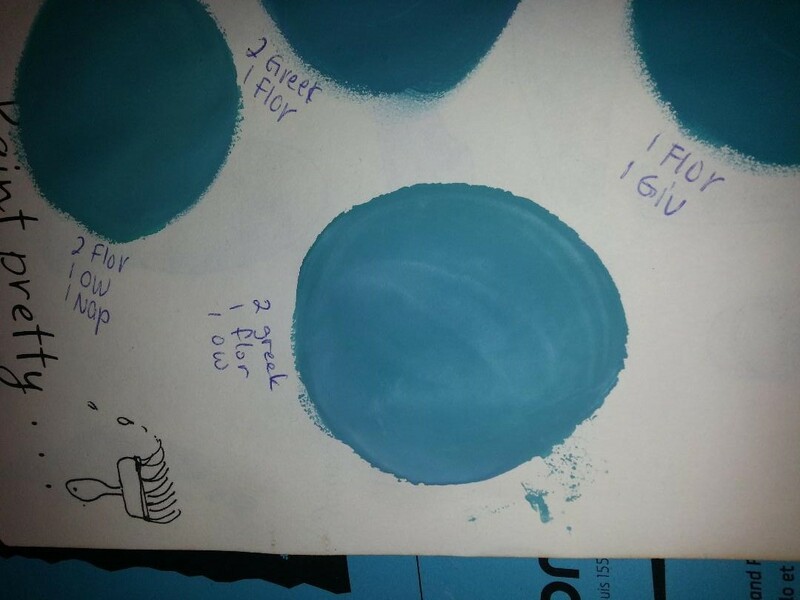 The area rugs that we were initially looking at were very colorful and had a lot of pattern, but in the end, the client decided that she wanted to go with something simpler and found the blue shimmer shag area rug. Her daughter loved it–and so did I! The soft texture makes the floor space so much more inviting for teen friends to lounge and hang out! 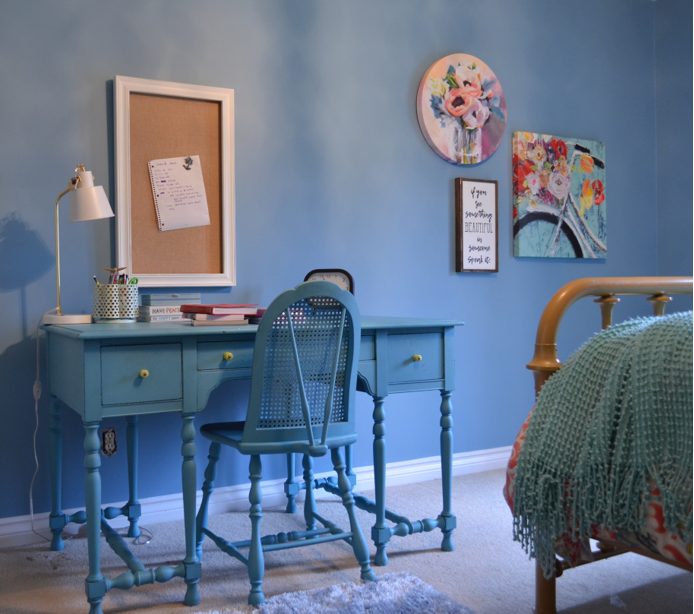 On the blank wall opposite her bed, we created a collage of colorful canvases from Homesense and Pier 1, as well as a wall plaque from Vintage Charm. 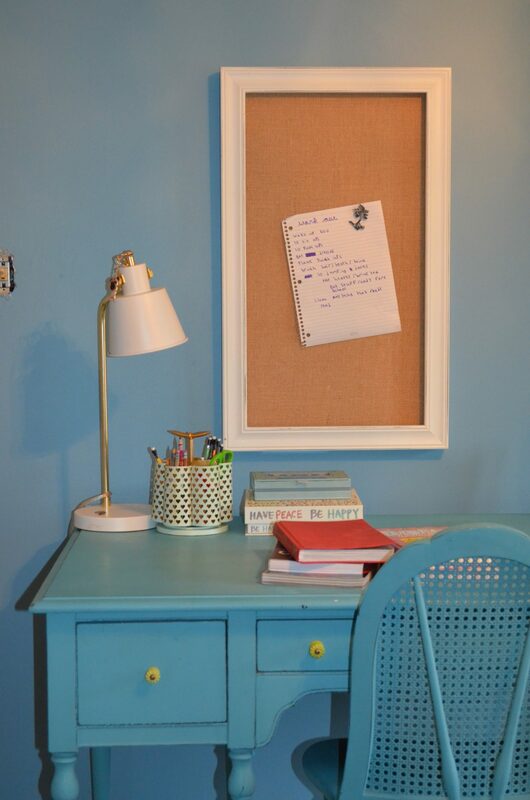 The bulletin board over her desk as well as a few of the accessories were all picked up at Homesense; the vintage mini-mirror over her bed was another Ottawa Street find–the Hamilton Antique Mall was filled with great stuff! 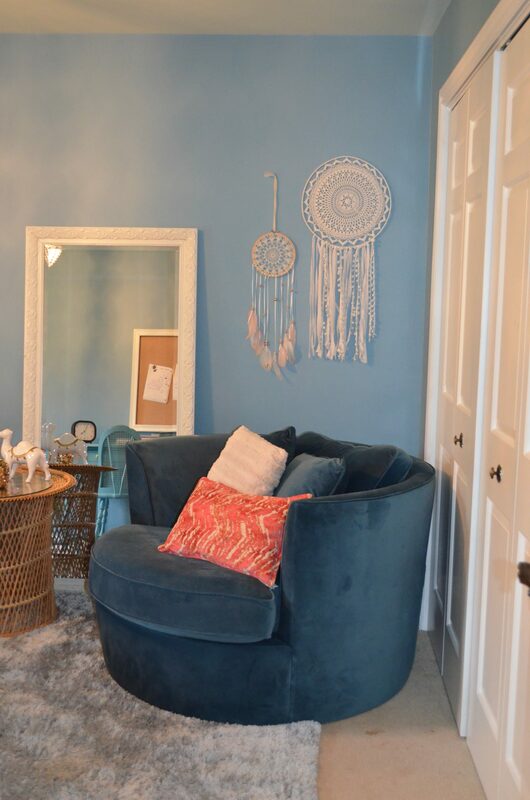 These well chosen pieces continued the boho vibe and were the finishing touches to this teen room makeover; they can also go with her in the future when she moves on to her own place (in the way…way distant future!). 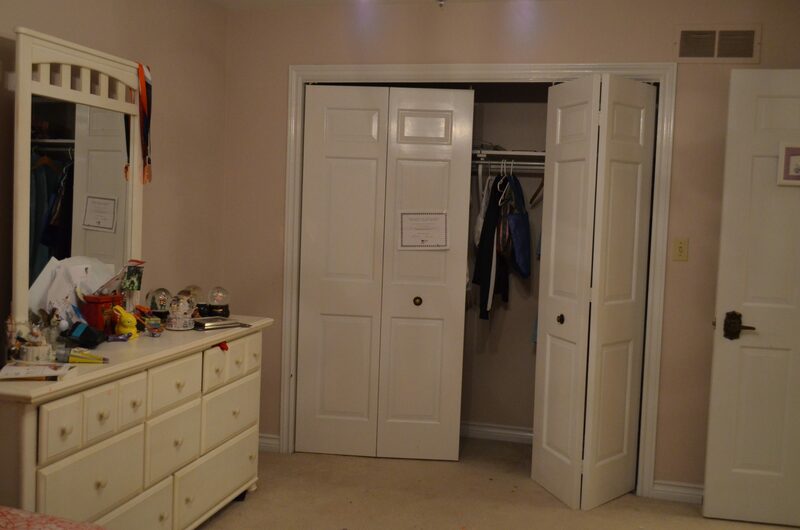 So…here we are…another completed room…another very happy client! 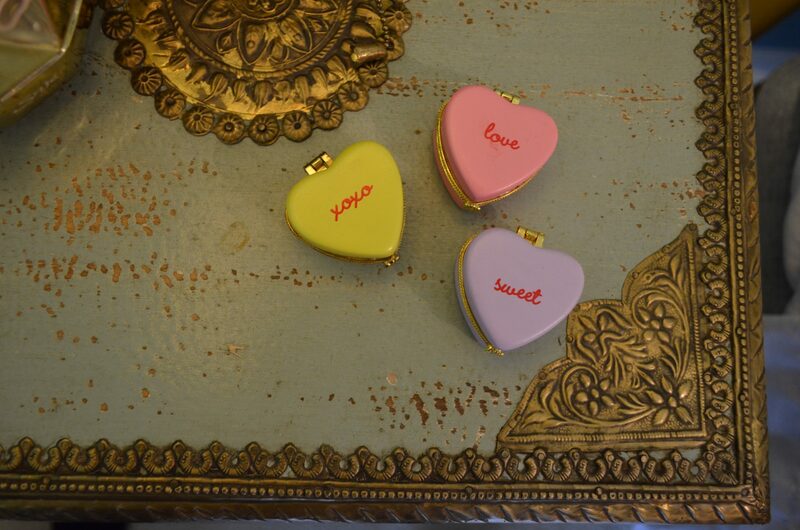 Love what you see (and read)? Then join in on the party! Sign up below and receive every blog post in your inbox…and get a FREE gift! Just enter your email address and you’re all set! Thanks for stopping by!